AND WORKING TOGETHER IS SUCCESS"
To enhance our community through the positive personal development of each of our students. To provide a supportive and energetic environment in which our students can grow mentally and physically. To Inspire personal excellence, both in and out of the Martial Arts School, through our example as Black Belts. To ensure the long-term growth of the School by providing legendary student service. Be patient with others. Patience brings understanding. Understanding brings love. 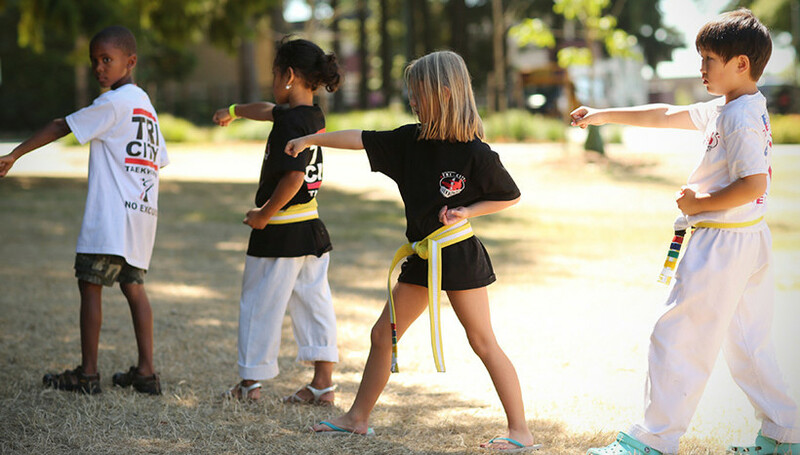 Love of friends, family and even adversaries is a fundamental part of the Martial Arts school philosophy. Respect for all living things, both great and small, strong and weak, generates respect for oneself and others. In all areas for life, humility brings with it peace of mind. Remember that people will base their opinions on you more by your behavior than by what you say or promise to do. Your actions do speak louder than your words. 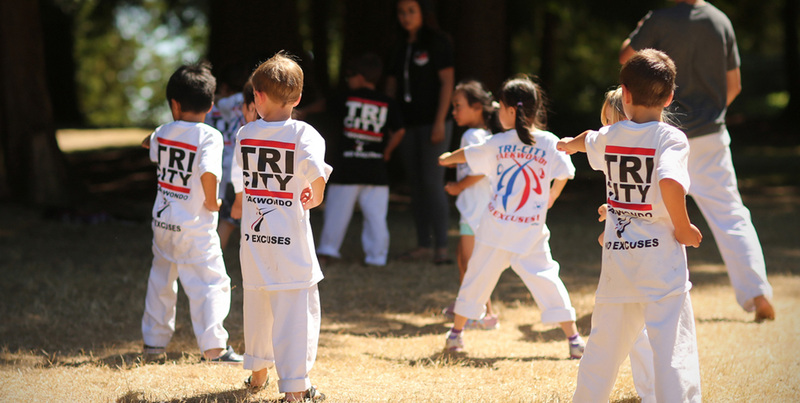 Tri-City Taekwondo offers Spring and Summer Day Camps for when the kids are out of school, Monthly Movie Nights at with all of your children’s Taekwondo friends (non-members welcome as well) and Birthday Party Hosting! For more on our additional programs, download the information sheets here! 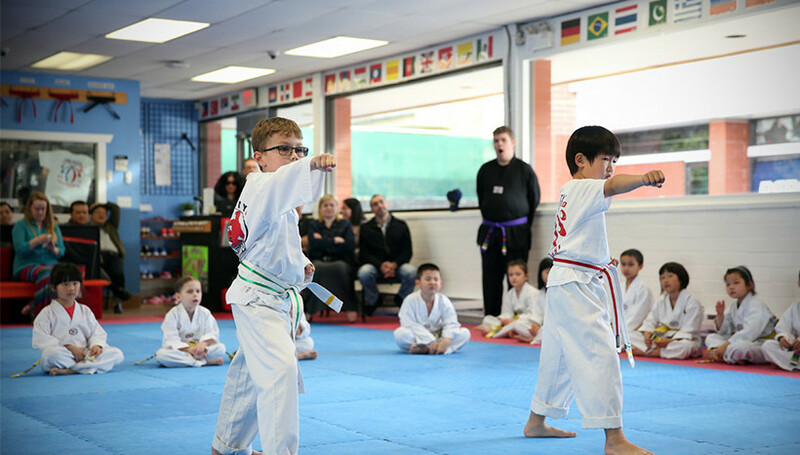 All of our leaders help to mould the young martial artists into focused, dedicated, and hard working students by leading by example! Our students see our Leadership team as what they strive to be! 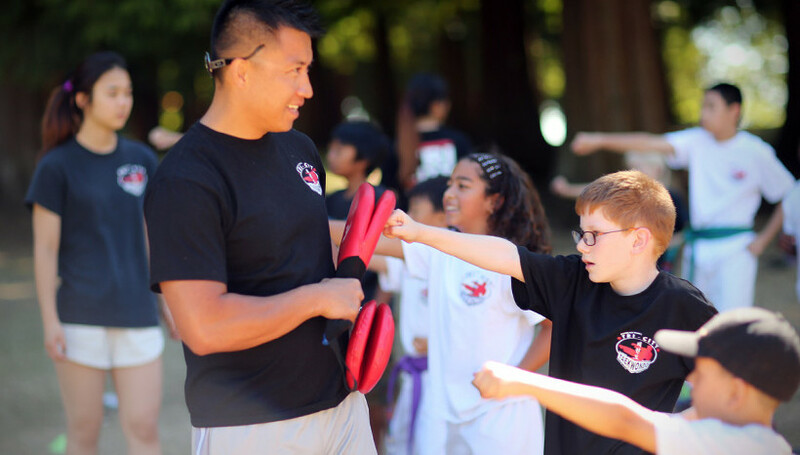 Inside and out of the Dojang, our team remain respectful and model community members whether it is in school, volunteering, or just out with friends. Our leaders remain responsible and vital members of their communities. 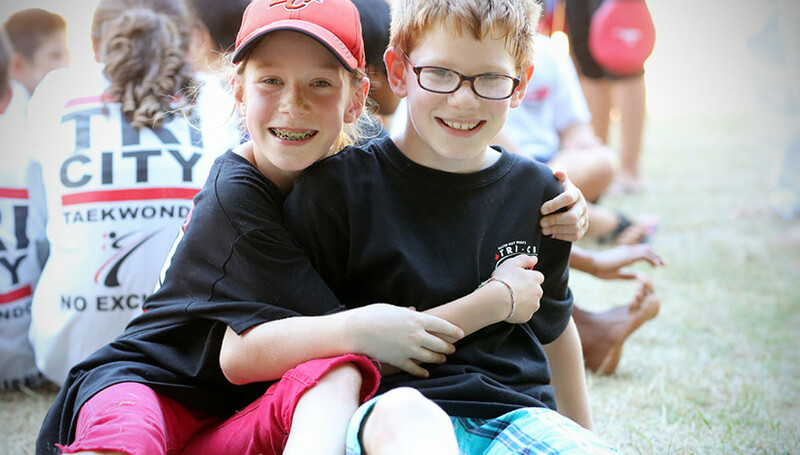 Our Leaders frequently lead large classes of children and youth. This promotes their public speaking abilities, and increases their self worth and confidence. These are vital skills that will aid them in Highschool, Post-Secondary, and Adulthood! Trying to command a group of 4 and 5 year olds and retain their focus is a daunting task. To say that you would need patience is an understatement! 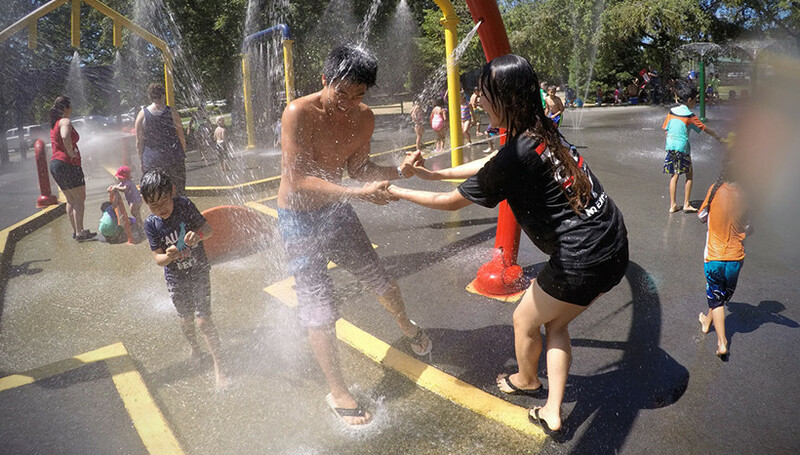 Our leaders learn ways too grab their attention and remain calm when the little ones get distracted. Master Phan is an incredible instructor.  When we signed my son up at Tricity Taekwondo 2 years ago, we had checked out other Taekwondo schools first. Even when my son had the option of training with friends from school, he chose Tricity because he had a connection with Master Phan. I was hesitant signing him up there because my son is shy, lacked confidence, and self control. I didn’t know how he’d do without anyone he knew there. But it paid off. He loves it, has improved so much, made some friends, and he is doing more than I thought he ever could! Thank you, Master Phan for opening an excellent school. My boys (9 and 11 y.o.) started Taekwondo at Tri-city Taekwondo school about 2,5 years ago. I am really impressed with results! They have changed a lot since then not only physically but also mentally! Great crew, Master Phan is very professional, he knows how to work with kids, I haven’t seen before such a passionate teacher! He definitely loves his job and children. He has individual approach to every child and it works! I just love those last few minutes of each practice when Master Phan or his crew explain a “theme of the week”. It can be “respect” or “responsibility” etc., and it’s explained in such a good and easy manner so that kids would listen and understand! This school is like big loving family. I would totally recommend this school and this teacher! Took the time to research TKD schools in our area for our daughter. Had a consultation with Master Phan at his studio and I was rather impressed so signed up. Have been with Tri-City since 2013 and no regrets. Extremely professional, excellent staff and they know how to work with KIDS (very important) as well as adults. They are truly a nice bunch!!! 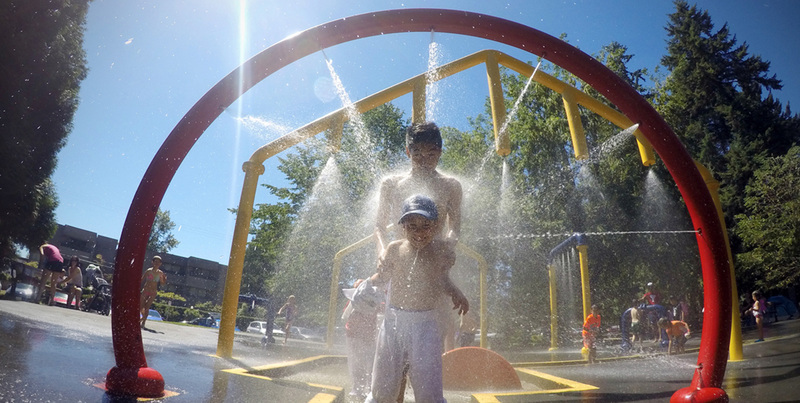 I started my son out here after we moved and he quickly adapted to the supportive environment. The instructors are excellent with both technique, discipline and philosophy. My favorite aspect of the school is they learn different themes each month ie bullying, discipline, hardwork, creativity etc. He has now been there for 2 years and has been in the sport for 5 years. My 4 year old also started there last year and I recently started Jui Jitsu in January. Overall I love the school and the vision that Master Phan has. Whats even better is the way he is able to inspire and instil this vision to each of his students. You will not be disappointed if you or your kids register here. Great School. 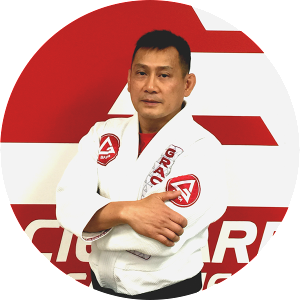 Master Phan and his excellent team of instructors and staff provide the ultimate atmosphere for learning and achieving. My Son Andon has been enrolled for almost 1 year and it has most definitely changed his life for the better. He is more focused, disciplined and overall competent not just in Tae Kwon do but also in school. I myself have been training at Tri-city for almost 5 years. It’s a great stress reliever and I get in shape too! Trust me, I do get a good workout because everyone is so excited and motivated. If seeing is believing , then you should come out and try a class for your child or even yourself. You won’t be disappointed. 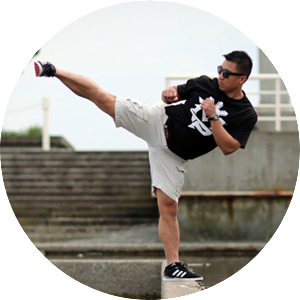 Master Phan and the entire Tri-city taekwondo crew is and has been a huge part of our life for the past 2.5 years. At the age of 4 my son joined this Dojang when he was painfully shy and insecure. With the endless amount of encouragement and support from Master Phan he has pushed passed many of those obstacles. 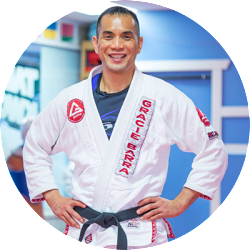 He went from crying at the beginning of class to joining BC Masters Cup tournaments where he has placed first twice, second and bronze in his category. He has learned copious amount of skills not just for use the dojang but ones he can use in everyday life. The community from this gym always makes you feel at home and appreciated. Recently my son broke his arm and was unable to attend but Master Phan called on him on a regular basis to make sure my son knew he wasn’t forgotten about. This is a great pace. The staff, the parents, the kids, all around a very happy and supportive place.